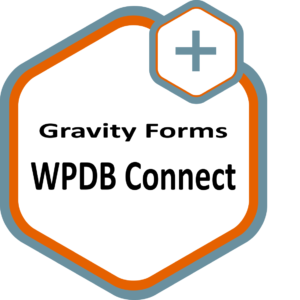 Buy the Gravity Forms WPDB Connect Plugin at Codecanyon. 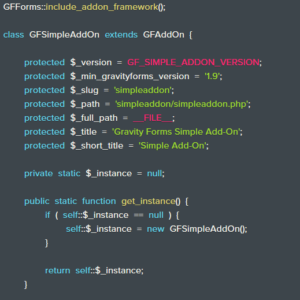 The Plugin uses the newest Gravity Forms Feed AddOn Framework and the Gravity Forms Settings API. If possible all calls to Gravity Forms functions uses the new Gravity Forms API. Select the WPDB Database Table to store your Gravity Forms Form-Data and assign your Gravity Forms Form-Fields to your WPDB Database Table-Fields with the easy-to-use Gravity Forms Feed-Settings. 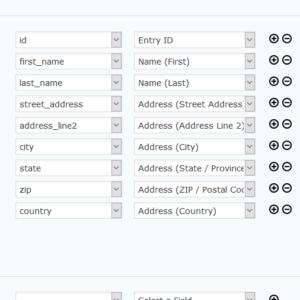 With the Gravity Forms WPDB Connect Plugin it’s possible to create your Choices directly from your WPDB Database Tables. 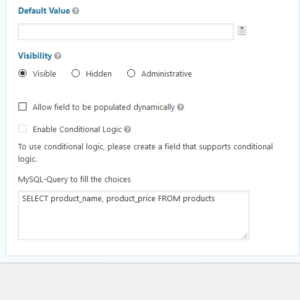 This is supported for the Field-Types : Select, Multiselect, Radio, Checkbox, Product and Option. 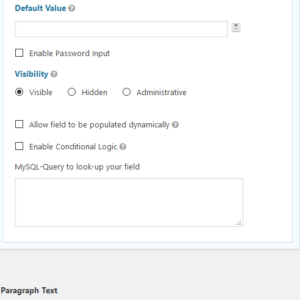 Validate your Field-Input against your WPDB Database Tables with easy SQL Queries.